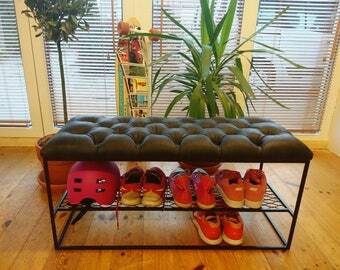 Hallway bench with shoe rack and leather. 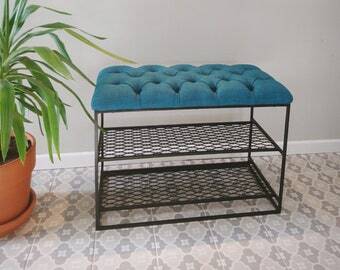 Hallway bench HALF&HALF with 3 shoe racks. 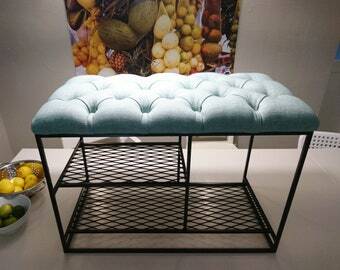 Hallway bench DOUBLE DECKER MINI with two shoe racks. 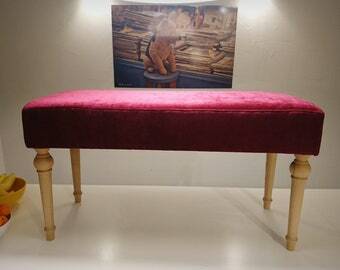 Hallway bench DOUBLE DECKER STANDARD with two shoe racks. 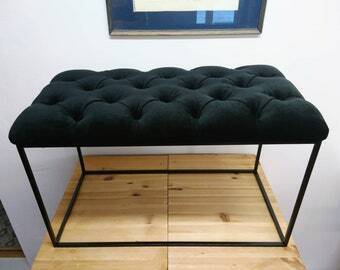 The bench has arrived and it’s better than perfect! It’s been a pleasure right from the start to delivery. It’s gorgeous and we love it, thank you so much! 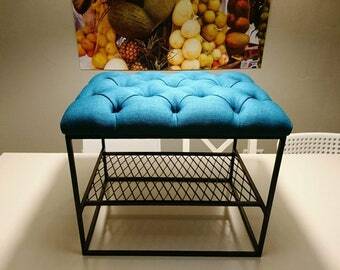 Thank you so much for my beautiful shoe stool. It looks amazing in my hallway and fits perfectly in the awkward space I had. The quality of the work is top notch. 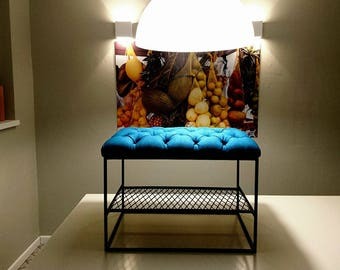 Absolutely love our hallway bench. Well worth the wait to have such a lovely piece made. Thank you! These little pieces of furniture light up every room! Upholstery and buttons are my passion. After graduating Tartu Art College Furniture Department, I have been working as a freelance restorer and professional upholsterer. My very own brand Pehmö is colorful, soft, comfortable and buttoned. 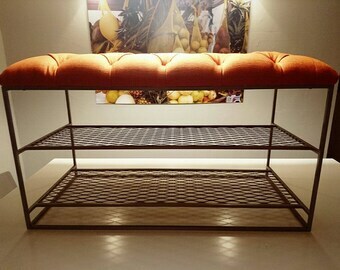 A fusion of luscious classics and modern minimalism.